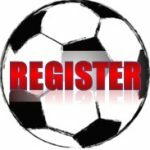 Outdoor Soccer Registration – CLICK HERE!!! Any registrations after March 11th are now considered a late registration. Please contact your community coordinator directly for any further payment. Community Coordinator contact information found HERE. Start date, schedule & outdoor program information found HERE. MANDATORY Coaches’ Meeting & Clinic found HERE. Edmonton West Zone Soccer Association (EMSA West)is part of the Edmonton Minor Soccer Association (EMSAmain) and as such is dedicated to the development youth soccer. We are proud to be able to provide soccer programs for all ages and skill levels including our Premier teams, the Warriors Boys & Girls.